I want to reiterate that we welcome everyone to the club who would like to continue to play the beautiful game. 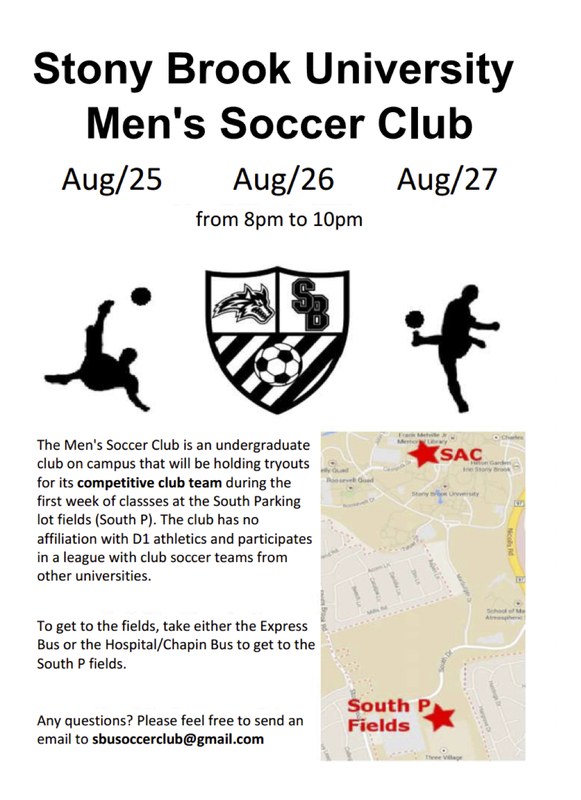 We have events that take place on campus throughout the semester such as televised EPL, SPL, Bundesliga games, Champions League viewings, and the sort, as well as pick up games that anyone is welcome to use our Facebook page to organize. Concerning the competitive team selection process, we will be having three (3) showcase/tryout days during the first week of class. The showcase will run on August 30th, 31st and September 1st. On a flier that will be posted soon, the official date and time will appear as such: Aug. 30-Sept. 1st from 8-10pm at the South P field, accompanied by a map.